The Oakland Raiders were thoroughly embarrassed by the San Francisco 49ers on Thursday night. It seems the loss has not tempered head coach Jon Gruden’s expectations for the future. It is difficult to gauge where Gruden’s confidence comes from. Oakland has not had much to hang their hat on in the 2018 NFL season. Their ability to compete in the near future has seemingly dwindled with every game. This was especially evident against San Francisco on Thursday. 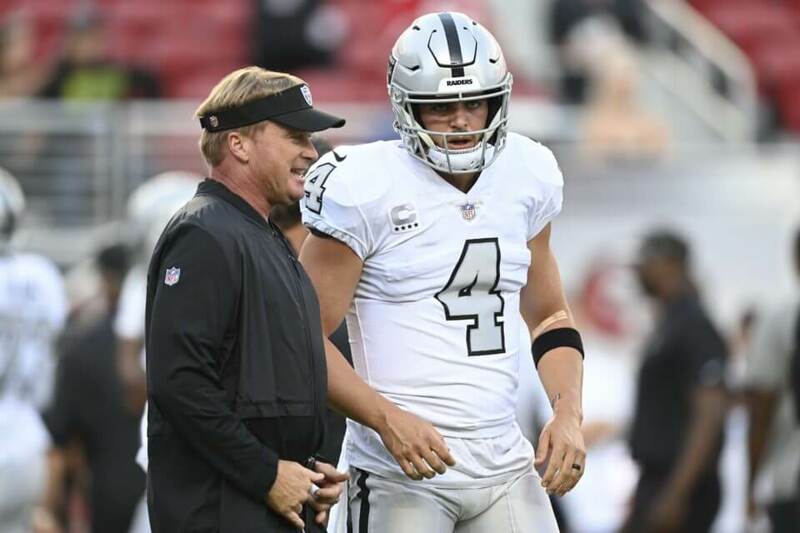 Gruden vowed to revive Derek Carr’s career. Carr completed 16-of-21 passes for just 171 yards while the offense mustered up three points. It should be noted that this is the same 49ers defense that gave up 46 points in two games with an Arizona Cardinals offense that is currently ranked as the worst group in the league in multiple categories. Meanwhile, the defense became the very first victims of Nick Mullens. The former undrafted free agent out of Southern Miss enjoyed quite the career debut after completing 16-of-22 passes for 262 yards and three touchdowns. To make matters worse, their struggles this season have raised questions about their ability to recruit players in the offseason moving forward. Gruden’s recent claims of players ‘dying’ to come play for the Raiders have only fanned the flames of doubt surrounding this franchise. Furthermore, his willingness to trade star players in exchange for picks will undoubtedly be a red flag for potential free agents. Although building a championship team is certainly the ultimate goal, it is safe to say that fans will settle for one that is at least competent.